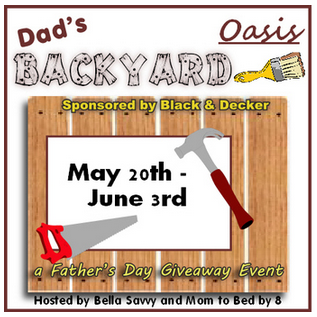 ATTENTION BLOGGERS: Dad’s Backyard Oasis Father’s Day Giveaway Event Sign-Ups! ATTENTION BLOGGERS: Father’s Day Giveaway Event Sign-Ups! Want to know how to increase blog traffic and gain new facebook fans? Sign up for a giveaway event! The Dad’s Backyard Oasis giveaway event is a free blogger event. Please say Melanie Kampman at Giveaway Bandit referred you!